Audi is gearing up to introduce the redesigned R8 at the Geneva Motor Show and new details are starting to emerge about several potential new variants. 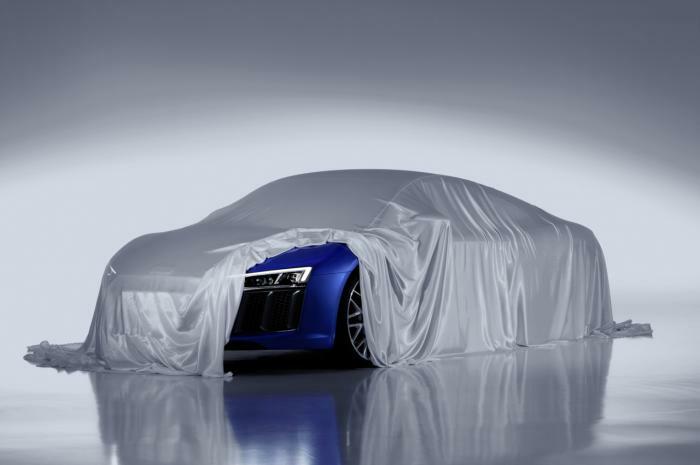 In an interview with Top Gear, R8 technical lead Roland Schala said the production line is so flexible that the company can easily change it to offer "different models like a Superleggera, or GT or Clubsport" variant. Schala declined to go into specifics but hinted a "V6 is a perfect engine for this kind of car." He went on to suggest a potential V6 model could have at least 400 bhp (298 kW). The engineer also said the company is considering a diesel variant but wasn't sure if the engine would be worth the additional weight. Schala also hinted at the possibility of a plug-in hybrid but suggested the automaker wasn't sure if there was enough demand to warrant production.